Military authorities in the Nagorno-Karabakh Republic (NKR) said an Armenian soldier was killed overnight as an internationally mediated meeting between the presidents of Armenia and Azerbaijan aimed at reinforcing the ceasefire regime in the conflict zone was in progress in Vienna, Austria. 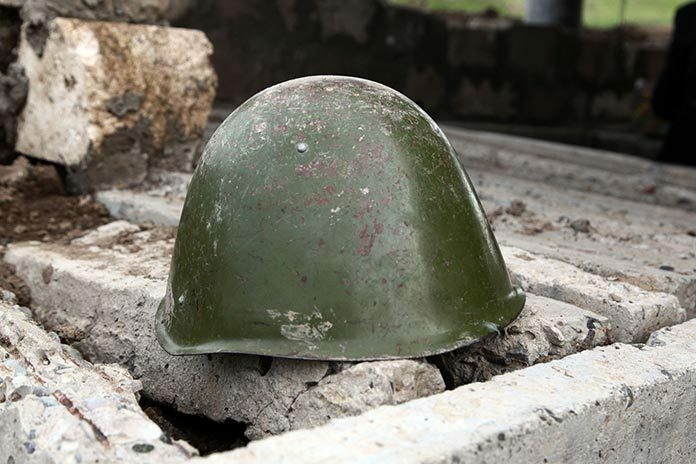 According to the NKR Defense Ministry, 20-year-old conscript Khachatur Harutyunyan was fatally wounded at 00:50 Yerevan time at one of the positions in the southern direction of the line of contact with Azerbaijan. The Karabakh side accused Azerbaijan of continuing to violate the terms of the April 5 verbal agreement on cease-fire on the night of May 17 by using firearms of different calibers as well as armored vehicle guns, mortars and grenade-launchers. Particularly intensive ceasefire violations were reported in the southern (Hadrut) and eastern (Martuni) directions. “The NKR Defense Ministry states that the whole responsibility for the consequences of the situation in the frontline lies with the Azerbaijani side,” the statement said. Meanwhile, Azerbaijan’s Defense Ministry also reported a casualty near Karabakh overnight, accusing the Armenian side of violating the ceasefire. In a statement the military authorities in Baku also reportedly stressed the circumstance that the Azerbaijani serviceman was killed shortly after the Vienna meeting. President Serzh Sargsyan of Armenia and President Ilham Aliyev of Azerbaijan reportedly agreed late on Monday to respect ceasefire in the conflict zone and soon resume internationally mediated talks aimed at finding a peaceful solution to the dispute.